This Christmas, there’s no place like Wicked as the spectacular touring production flies back to the Palace Theatre in Manchester for one final engagement. Wicked is already the 6th longest running Broadway show in history and the 14th longest running West End show in history. Around the world, Wicked has now been seen by almost 60 million people and won more than 100 major awards, including three Tony Awards on Broadway and two Olivier Awards in the UK. Based on the best-selling novel by Gregory Maguire that ingeniously re-imagines the stories and characters created by L. Frank Baum in The Wonderful Wizard of Oz, Wickedtells the incredible untold story of an unlikely but profound friendship between two sorcery students. Their extraordinary adventures in Oz will ultimately see them fulfil their destinies as Glinda The Good and the Wicked Witch of the West. The acclaimed cast of over 30 features Amy Ross as Elphaba, Helen Woolf as Glinda, Aaron Sidwell (best known as ‘Steven Beale’ in EastEnders) as Fiyero, Steven Pinder (best known as ‘Max Farnham’ in Brookside) as The Wizard & Doctor Dillamond, Kim Ismay as Madame Morrible, Emily Shaw as Nessarose and Iddon Jones as Boq. Nikki Bentley is Standby for Elphaba. 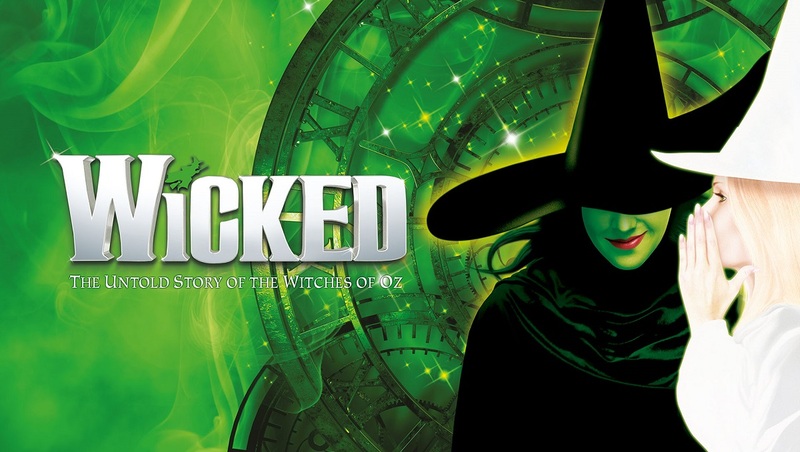 Wicked has got to be one of my all time favourite shows and it’s even better if you know the Wizard of Oz story well – we actually watched the film the night before which meant it was fresh in our minds.